Every so often we stumble upon a potentially great album that makes us feel uncomfortable because of how similar it sounds next to other contemporary works. I’ve always bragged of belonging to the school of thought that not all music needs to be inventive, and that the concept of originality is banal and subjective. 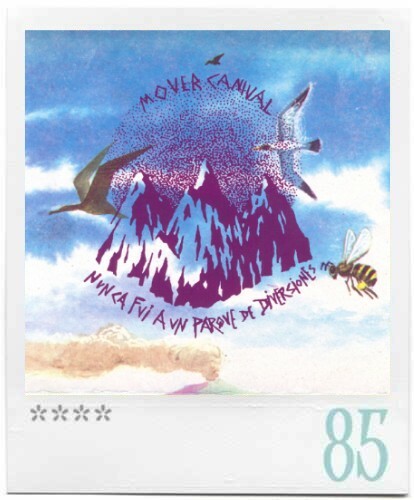 During the first spin of Mover Canival, by Argentine band Nunca fui a un parque de diversiones, I found myself betraying my own beliefs and finger-pointing the band’s influences (El Guincho, Animal Collective, Sigur Ros), with little disposition to become receptive of the band’s immediate text and pedigree. Further spins have displaced that focus away from the derivative, and have illuminated the path to what makes Mover Canival so grand: its execution. Hailing from La Plata, Argentina, NFAUPDD come through as Noah Lennox enthusiasts from a mile away. Like fellow compatriots Los Animales Superforros, they employ the vernacular to tackle on their rhythmic endeavors. 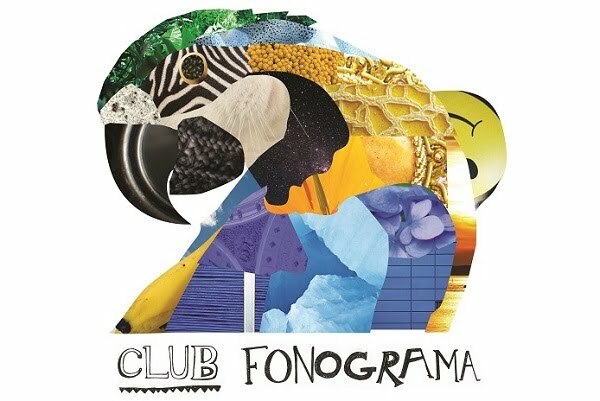 If El Guincho personalized Lennox’s digital wooings with tropical immersion, NFAUPDD offer a similar anthemic raptness but exercise it through percussion-heavy folk. “Suerte que el totem de piedra desde lo alto nos cuida,” sighs the opening track of the album. “Deus” starts with tranquil white noise, and gradually adds characters to its sonic, near celestial scope. This anchoring of the cosmos, as if we were contemplating the morning horizon from a distance serves as a very effective intro for the sound-packed universe that follows. Promotional cut “Abrazos de rio manso” is quick to reveal some of NFAUPDD’s core elements/obsessions: song structure, vocal group linings, and the collision of both analog and digital tools coming together. In paper, we would classify this music as powerpop, but the keener focus on song construction tells us otherwise. NFAUPDD strike to sound weird, cluttered, visceral, and at times, cacophonic. With more than half of its tracks surpassing the 5-minute mark, you can be sure Mover Canival targets maximalist canvases with little concern to sound pompous. And it’s not that they’re accomplishing merit solely by their guts. You must give them mad props for the unlikeliness of carrying out something as melodically ambitious as “Una tarde arrestrada por una babosa,” which almost clicks the eight-minute mark but never drowns in its meta nature. Mover Canival is a conglomeration of vocal melodies working at the service of harmony. Even if overworked at times, bringing shape to these songs required borrowing narrative tools from some of their contemporaries, and that’s ok. At the end of the day, this is an album that sounds influenced by the avant-gardness of Lennox, but also by the earth-loving grace of someone like Juan Luis Guerra -not to mention the andino weight in songs like “Chupetines Violentas” and “Papa Pelo Largo.” NFAUPDD has delivered a truly round album, featuring a gorgeous intro, overwhelming catchy tracks, and an 11-minute outro that recollects and deconstructs the fruitful, multi-directional universe the band came to construct in such convincing ways.